EQUIMEC Plus Tape is highly efficient in the treatment and control of roundworms (including arterial larval stages of Strongylus vulgaris and benzimidazole resistant small strongyles), tapeworms, bots and skin lesions (summer sores) caused by Habronema and Draschia spp. and Onchocerca spp. (cutaneous onchocerciasis). 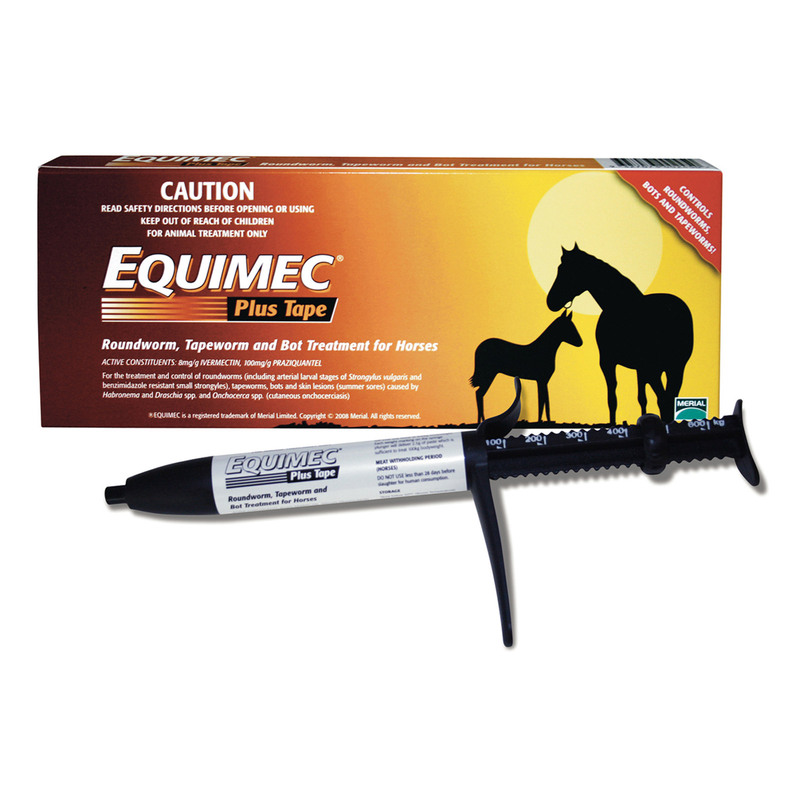 At the recommended dosage, Equimec Plus is safe to use in horses of all ages. EQUIMEC Plus Tape is given orally at the recommended dose level of 1mL/40 kg bodyweight. The contents of one syringe will treat one horse at 600kg bodyweight. Each weight marking on the syringe plunger will deliver 2.5g of paste which is sufficient to treat 100kg bodyweight.